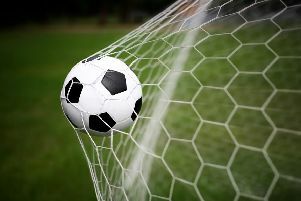 Shoreham Football Club's Southern Combination League Premier Division return started with defeat on Saturday. Lewis Hole struck in either half as promoted Little Common were 2-0 victors at Middle Road on the opening day. Shoreham, who were relegated from the Bostik League South Division last season, did not got off to the start they wanted back in the SCFL. To cap what proved to be a forgettable afternoon, striker Kai Bichard was dismissed after picking up two bookings in quick succession in his first match since returning from Romford. Hole got his first after ten minutes, taking a touch before firing an effort past James Broadbent in Shoreham's goal. Mussels' task to get back in it got a lot tougher after an hour. Returning Bichard was shown a second yellow as the home side had to play the final 30 minutes a man light. A sweeping Little Common move was then finished off by Hole, who grabbed his second, to send Shoreham to defeat. Mussels will be hoping for better fortunes when they make the trip to Loxwood in the league tonight (7.45pm). SHOREHAM: Broadbent; Firmin, Proto-Gates, Rhodie, Dunk, Tuck, Myers, Garrivier, Dalehouse, Bichard, Koduah. Subs: McCormick, Joseph.